There is a Shadow behind Captain Sheridan. 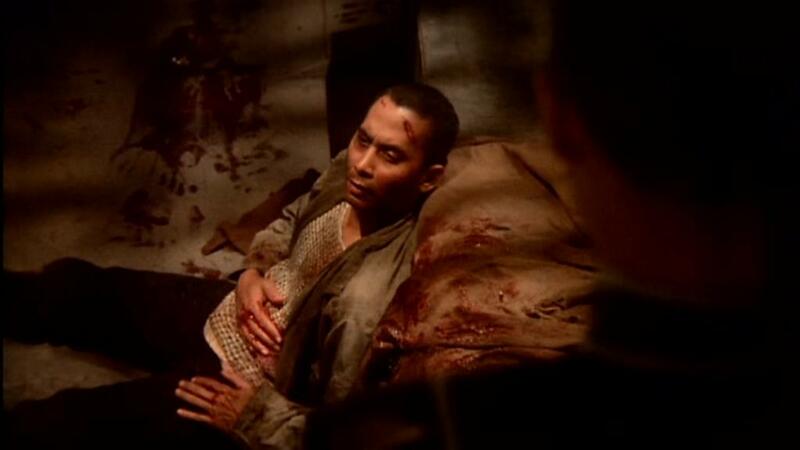 It was two years ago, in series time, that G’Kar issued the first warnings that the Shadows had returned to Z’ha’dum. The Vorlons had known before that. The forces of Light have moved cautiously, gathering their forces, until recent episodes. Now the Shadows strike back against Sheridan in a personal way–via his wife, presumed dead for years. About a year prior (in In the Shadow of Z’ha’dum), Delenn and Kosh had told Sheridan that Anna had died on Z’ha’dum. The Shadows, they said, had killed those who refused to cooperate. This was obviously not true, so why is Anna alive now? And why is she speaking cheerfully in support of the Shadows? Perhaps the most terrifying horror movie is the original Invasion of the Body Snatchers. To recognize a person outwardly as someone known yet to realize that the soul is absent is scary. That is what the Shadows did to those among the Icarus crew who did not cooperate with their ultra-Social Darwinian plans for war and genocide; they stuck them inside ships and converted them into CPUs, in the style of what they were planning to do to the rogue telepaths in Ship of Tears. 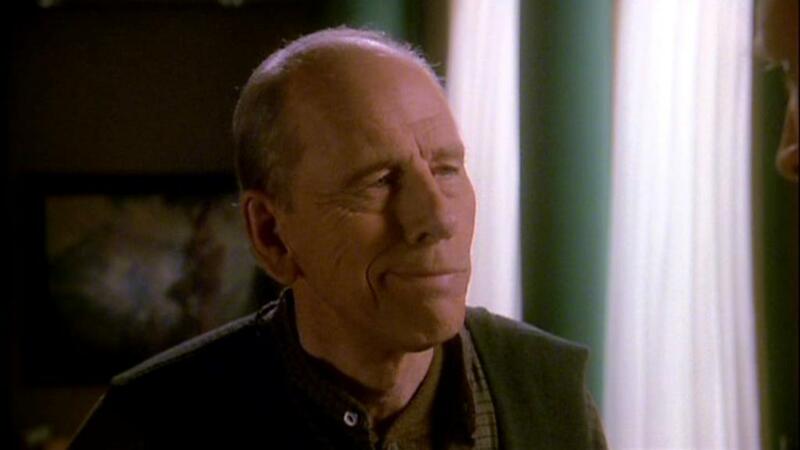 Dr. Franklin realizes this when he finds scars consistent with implants, such as those on the rogue telepaths in coolers aboard Babylon 5 until technology enables someone to remove the implants. Sheridan, realizing the truth but not telling Anna what he knows, agrees to go with her to Z’ha’dum, to meet with the Shadows. 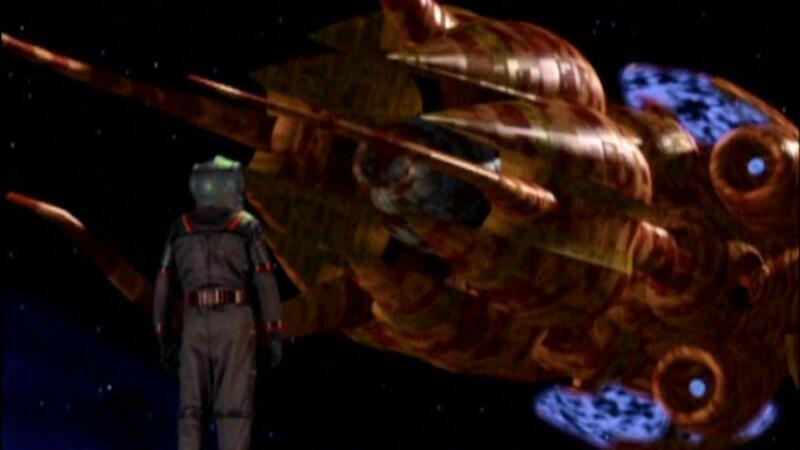 They travel aboard the original White Star, which makes Anna uneasy because the ship is based partially on Vorlon technology, and the Shadows despise the Vorlons. 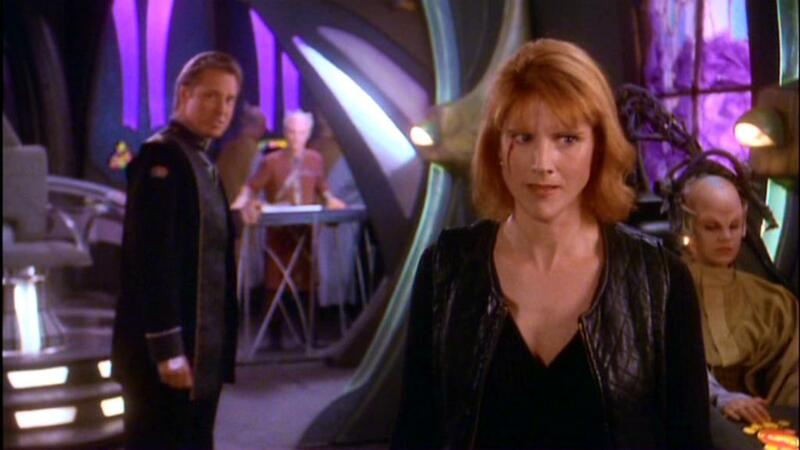 On Z’ha’dum, Anna introduces John Sheridan to Justin, a middle man (“the man in-between” who is seeking Sheridan, according a Kosh-induced dream from the second season). Justin, along with Anna and Mr. Morden, explains the Shadows’ agenda: to promote progress via bloodshed. Then Captain Sheridan tells them that he knows what the Shadows did to Anna. 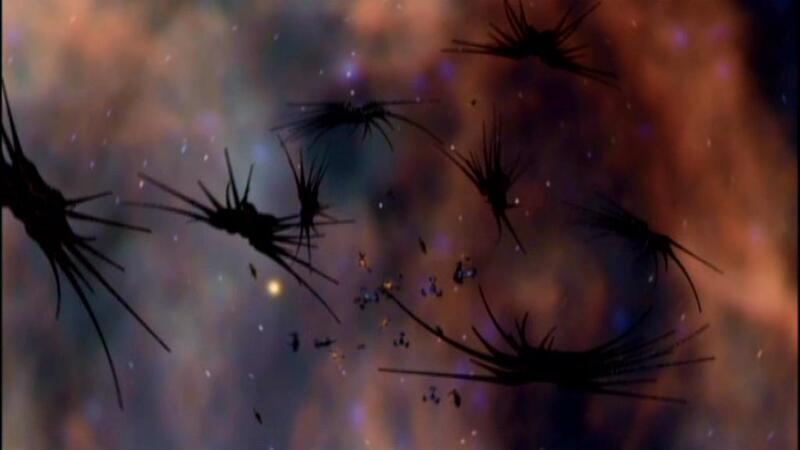 With Captain Sheridan on Z’ha’dum, the Shadows send ships to Babylon 5. Oddly enough, they do not destroy it. They are waiting for something. 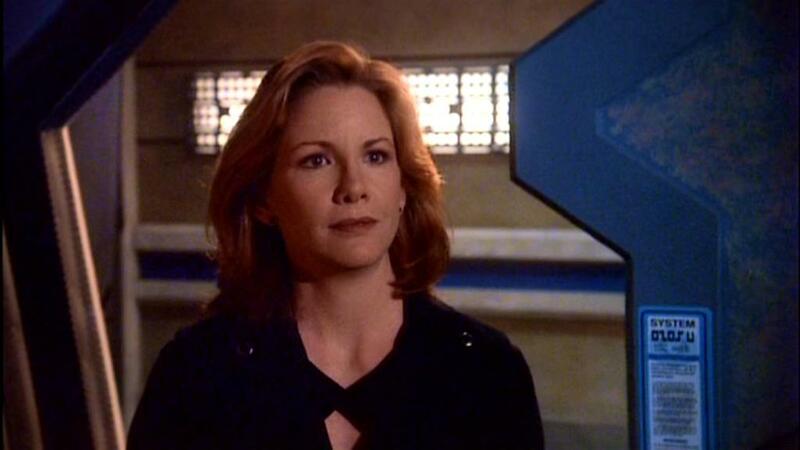 Commander Ivanova scrambles fighters to protect the station, and Security Chief Michael Garibaldi is in one of them. Captain Sheridan, pursued by the Shadows and his body snatcher wife, flees to a balcony overlooking a vast underground city (covered by a dome) and a very deep hole. He knows that the Shadows do not; he has just sent the White Star, with two thermonuclear weapons aboard, flying toward his position. The White Star breaks through the city dome, and the weapons detonate as Captain Sheridan falls into the very deep hole. 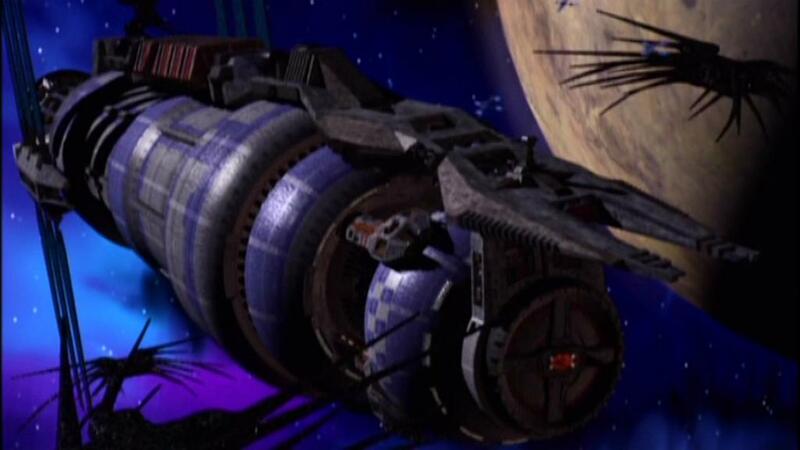 Back at Babylon 5, the Shadow vessels break off. One picks up the starfury fighter piloted by Security Chief Garibaldi, and Commander Ivanova realizes telepathically that Captain Sheridan is dead. The Shadow War pauses as the Shadows lick their wounds. It was the end of the Earth year 2260, and the war had paused, suddenly and unexpectedly. All around us, it was as if the universe were holding its breath. Waiting… All of life can be broken down into moments of transition or moments of revelation. This had the feeling of both….G’Quon wrote, ‘There is a greater darkness than the one we fight. It is the darkness of the soul that has lost its way. The war we fight is not against powers and principalities, it is against chaos and despair. Greater than the death of flesh is the death of hope, the death of dreams. Against this peril we can never surrender. The future is all around us, waiting, in moments of transition, to be born in moments of revelation. No one knows the shape of that future or where it will take us. We know only that it is always born in pain. 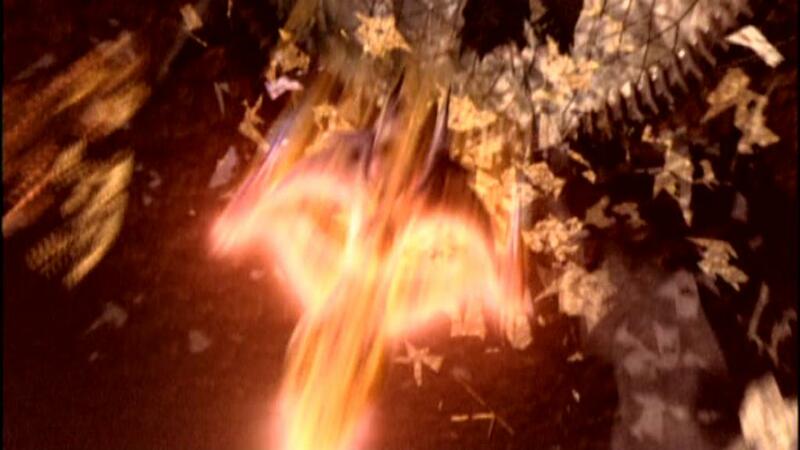 Thus ends the third season of Babylon 5. The fourth season is the most intense of the series. That season features the resurrection of Captain Sheridan, the end of the Shadow War, a Minbari civil war, the resolution of the Earth Civil War, and the creation of a new galactic order. Stay tuned and keep reading! All images are property Warner Brothers, and I do not profit from said images. 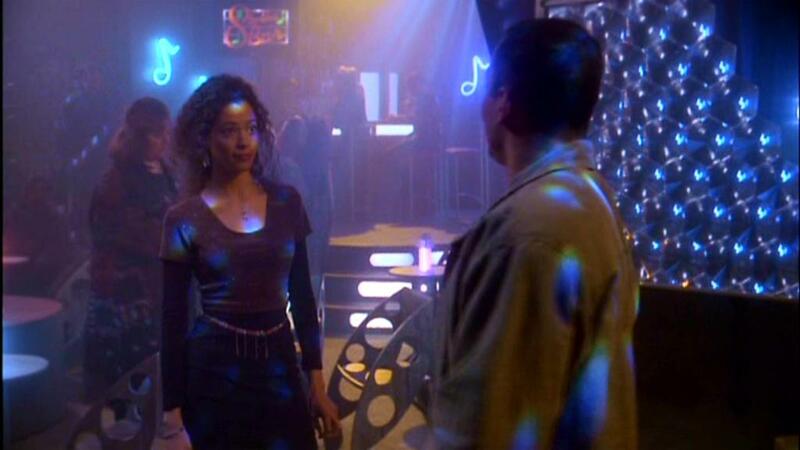 Shadow Dancing resolves Dr. Stephen Franklin’s walkabout while advancing the Susan Ivanova-Marcus Cole relationship and building momentum toward the creation of the Interstellar Alliance, which culminates at the end of the fourth season. The episode does all this breathlessly and with many wonderful character moments. Follow along with me. The Shadow War heats up. Sheridan knows that the Shadows will attack soon in a specified sector of space. So he sends Commander Ivanova and Marcus Cole aboard a White Star ship as advance scouts. When they send the signal, the gathered multi-species forces (formerly quarreling among themselves) will emerge from hyperspace and attack the Shadows. This is to be the opposite of the Shadows’ divide-and-conquer strategy. He tells her that it actually means, “My words are inadequate for the burden of my heart.” That is true, in a way. Marcus loves Susan, but tells her that only once–at the end of the fourth season. His love is deep, taking the form of selfless devotion–perhaps as close to agape as a human can get. But I get ahead of myself. Back to our regularly scheduled program. The multi-species attack against the Shadows succeeds, ending with Shadow vessels retreating. Yet the Shadows are not done yet. Shortly afterward, a Shadow vessel launches a ship with one passenger on board. That vessel heads for Babylon 5. While on walkabout, Dr. Stephen Franklin nears death after attempting to stop an assault and battery on another person. Bleeding and injured, he meets himself at last, or so he imagines. Imaginary Dr. Franklin lectures real Dr. Franklin about not running away from his troubles anymore. So our good doctor crawls to the safety of security personnel, who notify medical personnel. Later, the recuperating Dr. Franklin accepts his old job back. He tells Captain Sheridan that he (Franklin) had defined himself by what he was not. So he had missed many moments, which was all he had. Now Franklin had come to define himself by what he was–alive; “everything else is negotiable.” These are wise words indeed. Now, back to that person from the Shadows-dispatched vessel. 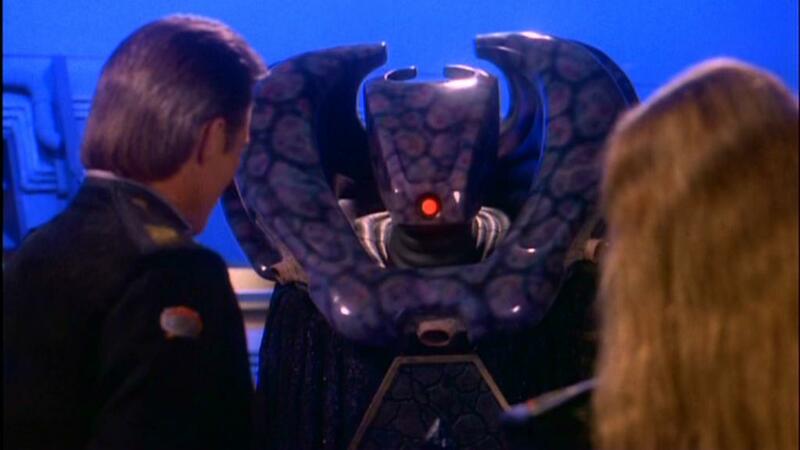 When Minbari become close, the female watches the male sleep for a few nights. If she likes what she sees, the two become closer. If not, the relationship ends there. So it is that Delenn is watching Captain Sheridan sleep when the door opens and Sheridan’s wife, Anna, presumed dead for years, enters. This is a delicate situation–and a perilous one. The Shadows sent her. The next episode is the third season finale, which has haunted my memory since I watched it the first time in 1996. Series Creator J. Michael Straczynski (JMS) is a lapsed Roman Catholic turned Atheist–not a militant Fundamentalist Atheist in the style of Christopher Hitchens, Bill Maher, or Richard Dawkins–just an Atheist. Yet, in Babylon 5, JMS gave religion its due, for better and worse. This pattern continues in And the Rock Cried Out, No Hiding Place. Captain Sheridan is spending too much time in the War Room, becoming cranky while analyzing battle strategies of the Shadows. There don’t seem to be any actual strategies, just random attacks. This, Sheridan says, is enough to make one’s hair stand on end. That, Delenn jokes, explains the Centauri. 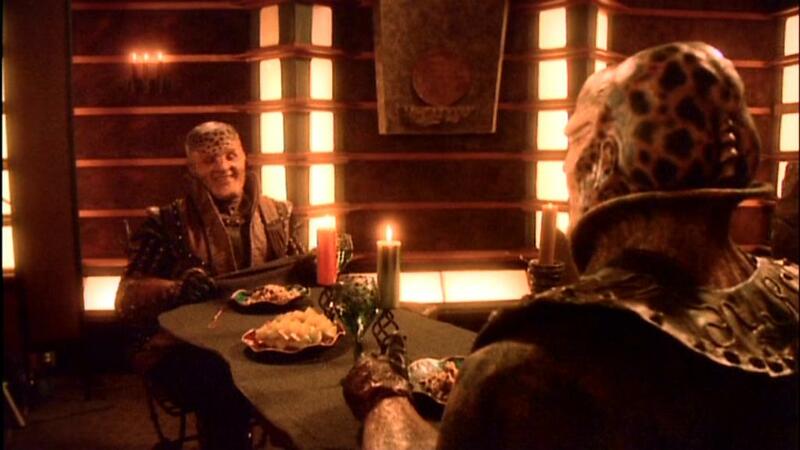 Delenn convinces Sheridan to leave the War Room long enough to join her and some guests for dinner. The guests are four religious figures from Earth: a Buddhist monk, an Islamic cleric, a rabbi, and the Rev. Will Dexter, a Baptist minister. These men are agents of the Resistance against President Clark’s administration. They believe that change is not optional; it will come. The real question is who will change the world, and they want to do that. They reveal that the Resistance is alive and well back home, although many people accept Clark’s dictatorship passively, and others embrace it actively. 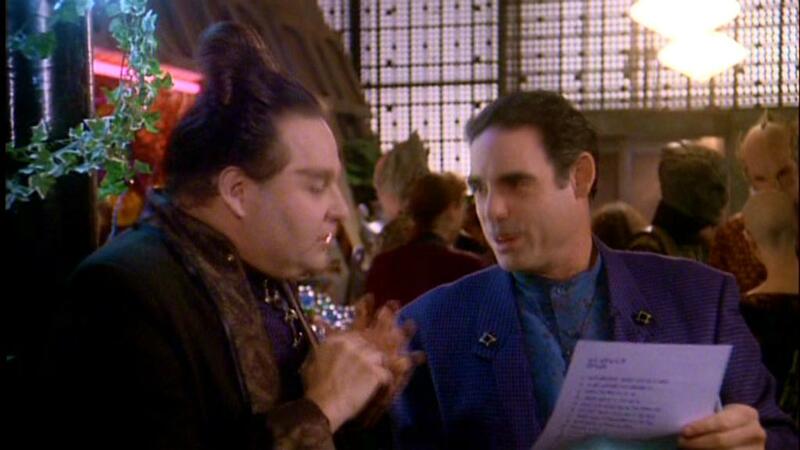 The struggle between Ambassador Londo Mollari and Lord Refa plays out on Babylon 5. Refa brings Minister Drigo from Centauri Prime to demonstrate what “Londo has become,” and Londo tries to persuade Drigo that Refa is not trustworthy. Drigo is not impressed with either man. Londo uses Vir Cotto, his long-suffering aide, to advance his own position within the Centauri Republic. Londo orders Vir to deliver a false message to G’Kar, to lure the former ambassador back to Narn, where the Centauri forces can capture him. Vir is unwilling, but he has no choice. Lord Refa has Vir abducted and scanned by a Centauri telepath. Armed with Vir’s memories of Londo’s orders, Refa departs for Narn. Late at night, Reverend Dexter wanders past Captain Sheridan’s office and finds Sheridan still working. Dexter asks with whom Sheridan shares his burdens. The answer is no one. Dexter then says that Delenn loves Sheridan; that much is obvious. Also, Dexter states, Sheridan needs to empty his “worry tank” regularly in order to be a good officer and commander. 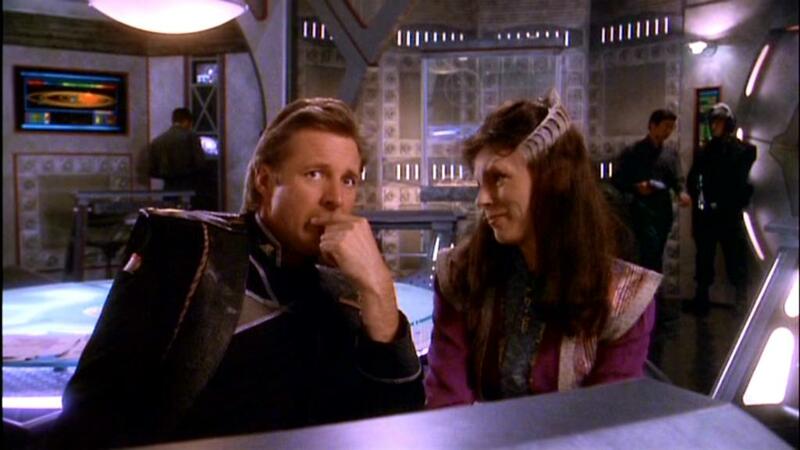 And, Dexter advises, Sheridan should share his burdens with Delenn. 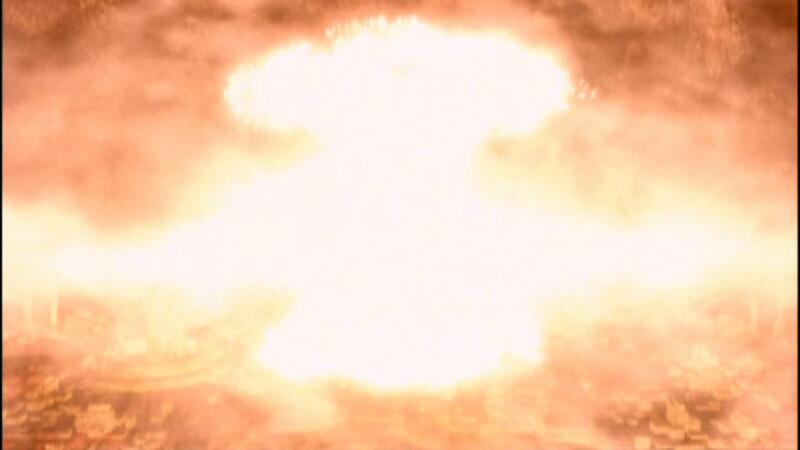 G’Kar returns to Narn, which suffers from the environmental damage the Centauri war has wrought. Refa, accompanied by contingent of security guards, has arrived, also. 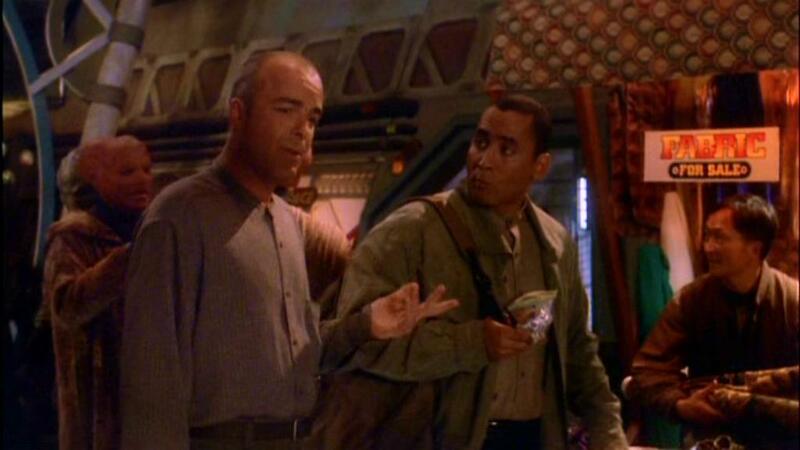 Back on Babylon 5, Sheridan finally understands the Shadows’ strategy. They are herding war refugees into a “safe zone,” which they will strike in time. Such an attack will induce great terror among the enemies of the Shadows. There is no hiding place for Lord Refa. Londo springs Vir from captivity on Babylon 5. Vir is understandably angry about how Londo has used him, but what can the diplomatic aide do? Londo has accomplished his goal: House Mollari is ascendant, and House Refa is disgraced. 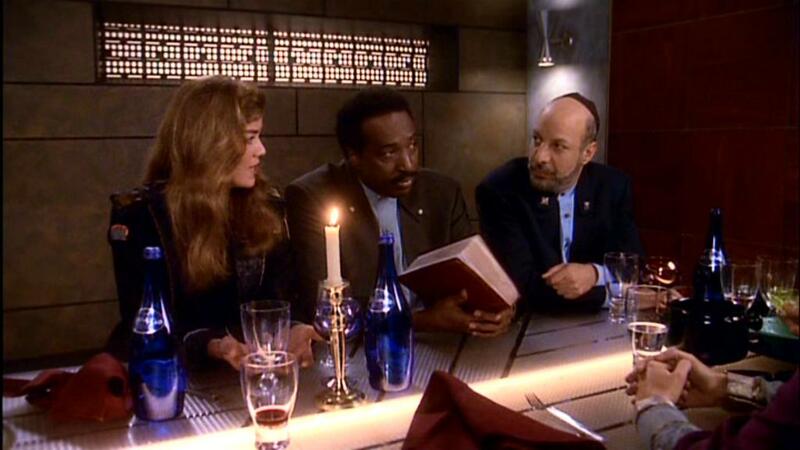 Reverend Dexter’s sermon during the service aboard Babylon 5 is very good. Who is the enemy? The enemy is not the one who disagrees with us or who is different from us. The enemy is not the alien, for we are all alien to one another. No, the enemy is the one who tells we that we ought to fear and hate the aliens and those who are different from us and who disagree with us. The enemy is hate itself, and that hate will destroy the person who harbors it. Later, aboard the White Star, Delenn shows Captain Sheridan the newly completed White Star fleet, built to fight the Shadows. Then they kiss for the first time. There are two more remarkable episodes left in the third season. Hang on; you are in for an emotional roller coaster. Do you recall Babylon 4? It was the immediate predecessor to Babylon 5. Babylon 4 became operational in 2254, and disappeared 24 hours later. The first season episode Babylon Squared tells the tale of B4‘s reappearance in 2258, when the crew of B5 rescued the crew and civilians trapped aboard B4 before it disappeared again. 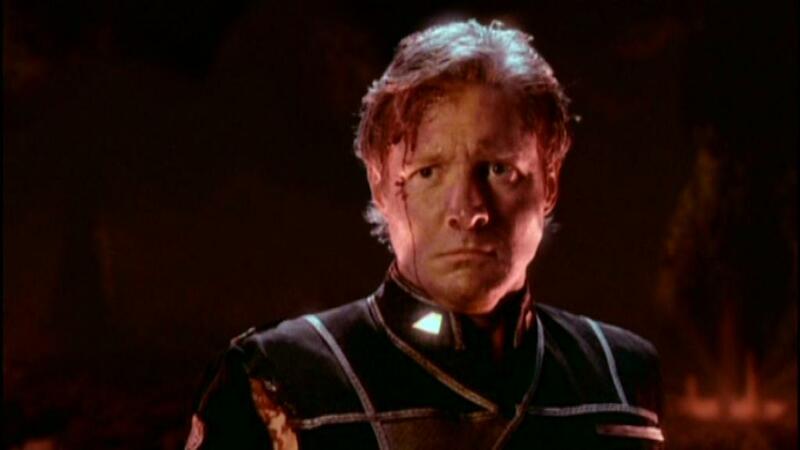 Babylon 4 was destined to become a base of operations for the forces of light in a great war–but when? War Without End, Parts I and II, answers that question–and a few more. 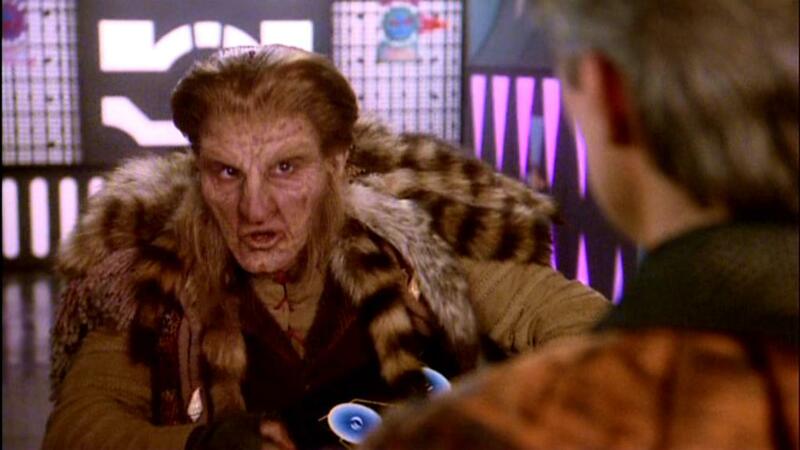 This is a pivotal two-parter within the series arc of Babylon 5. So follow the proverbial bouncing ball with me. Shortly thereafter Sinclair departs for Babylon 5, where Delenn has received a letter in the same handwriting. 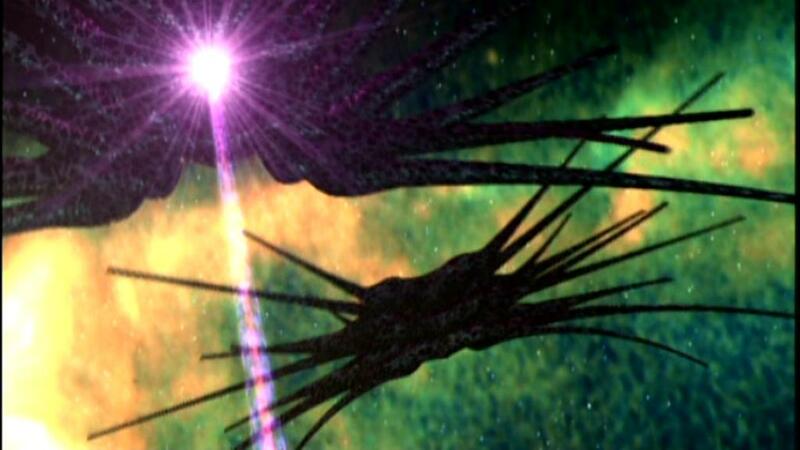 Meanwhile, the great machine on Epsilon 3 is expending great energy open a hole through time and space near where Babylon 4 used to be. 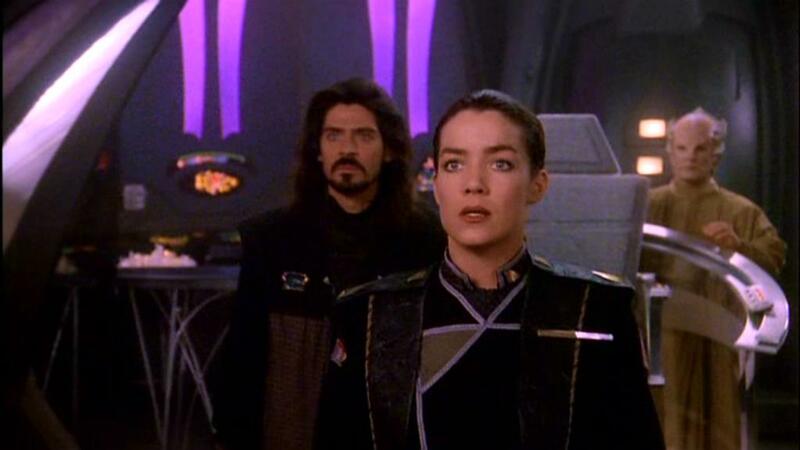 From this gateway comes a transmission from a parallel timeline: Commander Ivanova is sending a distress signal from Babylon 5, which is under attack from the Shadows. The time stamp indicates that the message is from the near future, too. How weird is that? 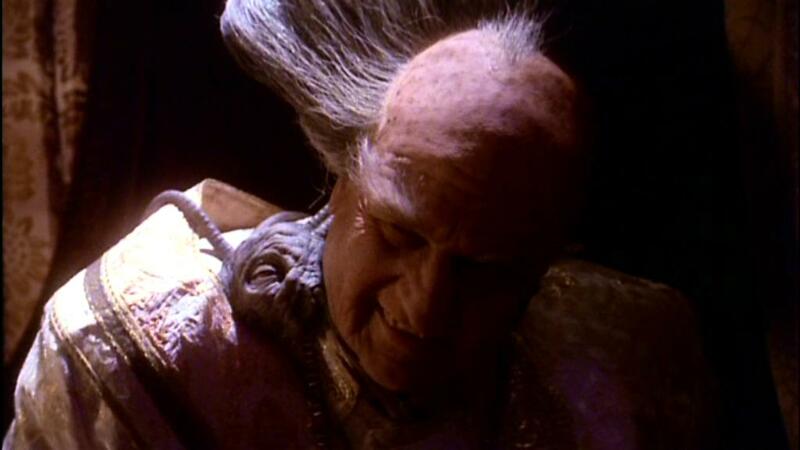 Sinclair arrives on Babylon 5, but does not stay long. He, Sheridan, Delenn, Ivanova, and Marcus Cole board the White Star and head back in time to 2254, thanks to the great machine at the heart of Epsilon 3. En route, and still in 2260, Delenn reveals historical records she has received from Epsilon 3 recently. 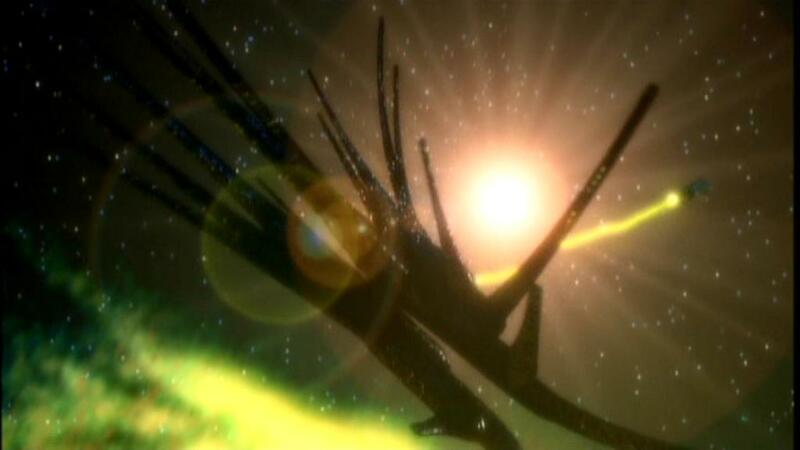 Babylon 4 became the Minbari base of operations 1000 years ago, during the previous Shadow War. Allies of the Shadows, recognizing B4 in 2254, tried to destroy it, but the White Star prevented them from doing so. Now the intrepid crew of the White Star needs to do this, so that history will remain unchanged. They succeed, of course. On the way to accomplish this goal the White Star receives a new helper: Zathras, from Epsilon 3. 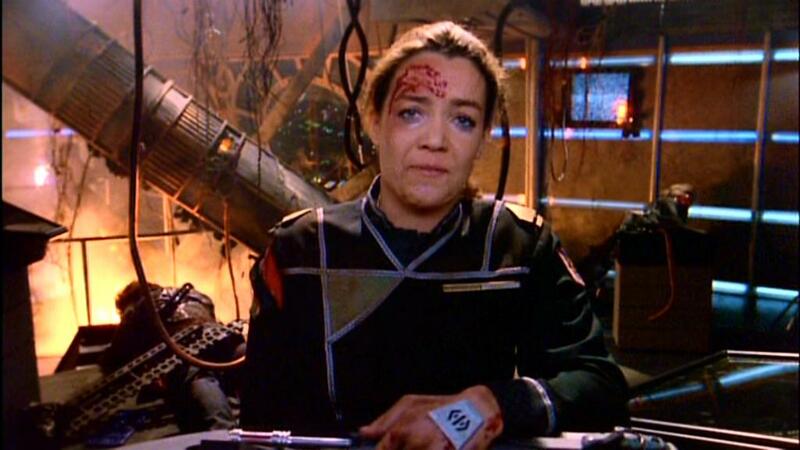 Zathras brings time stabilizing devices, so that people will not become unstuck in time. The best laid plans of mice and men…. 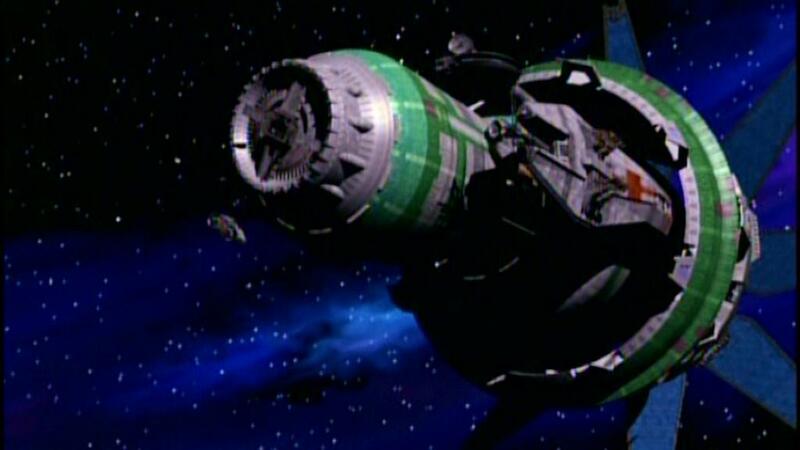 The White Star arrives in 2254, saves Babylon 4 from the Shadows, and attaches itself to the hull of the space station. 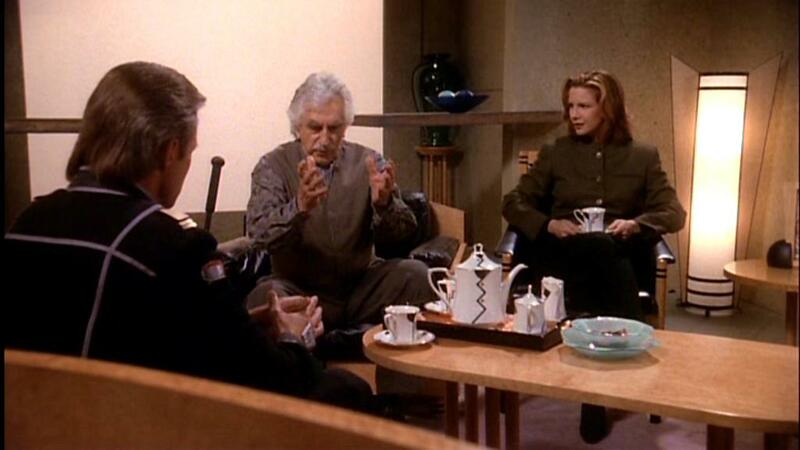 Then the adventures aboard Babylon 4 begin, and we, the viewers, see the rest of the story Babylon Squared began. 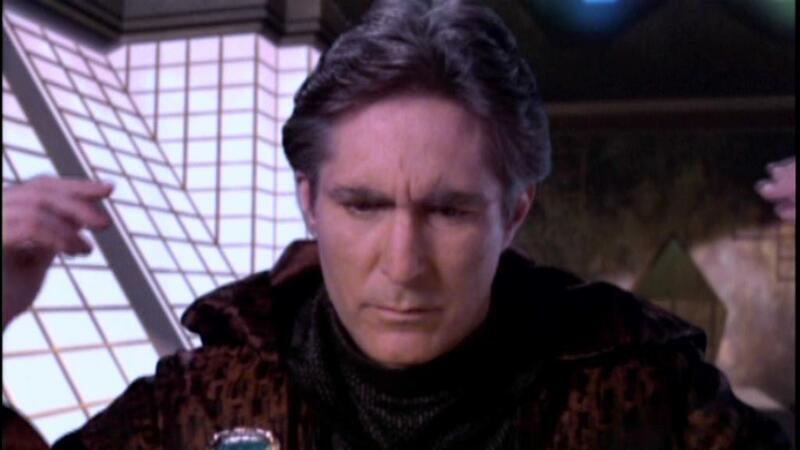 Due to a technological difficulty, Sinclair’s time stabilizer malfunctions and he ages greatly when Babylon 4 shifts from 2254 to 2258. This explains his appearance at the end of Babylon Squared, when his younger self returned to Babylon 5. Captain Sheridan has adventures in time and space. He jumps forward to 2278, on Centauri Prime, where Londo Mollari is the Emperor and the planet is in ruins. Londo blames Sheridan and Delenn for the fate of his planet and promises to kill them shortly. Then he sends them away to a cell. 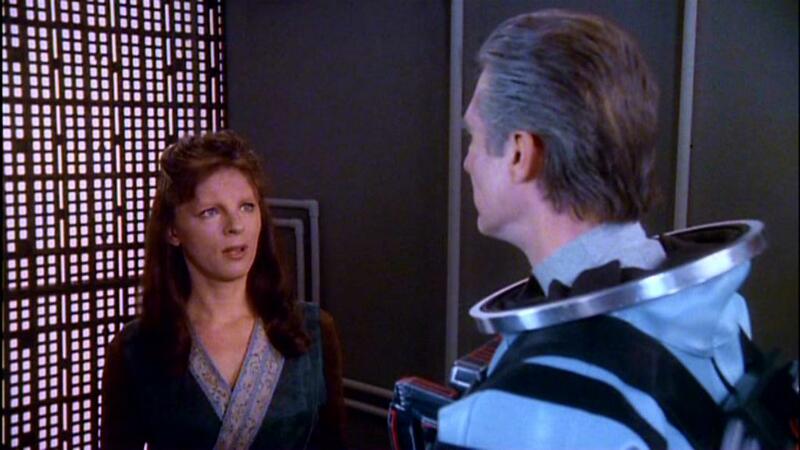 Delenn, remembering that John had told her years ago of this time jump to 2278, encourages him not to go to Z’ha’dum. Londo is not his own master most of the time. The Keeper, which is under telepathic control by aliens and usually invisible (except when it is asleep), controls the emperor. But the keeper falls asleep when Londo drinks, and then Londo can be free. The emperor had put on a good show for the Keeper and his masters previously, but now that the Keeper is asleep, Londo frees Sheridan and Delenn. He wants them to free the Centauri people from the alien oppression. The Keeper will awaken soon, and when it does it will force Londo to betray Sheridan and Delenn. So Londo summons his old friend G’Kar, who, at Londo’s request, strangles the emperor as the Keeper awakens. 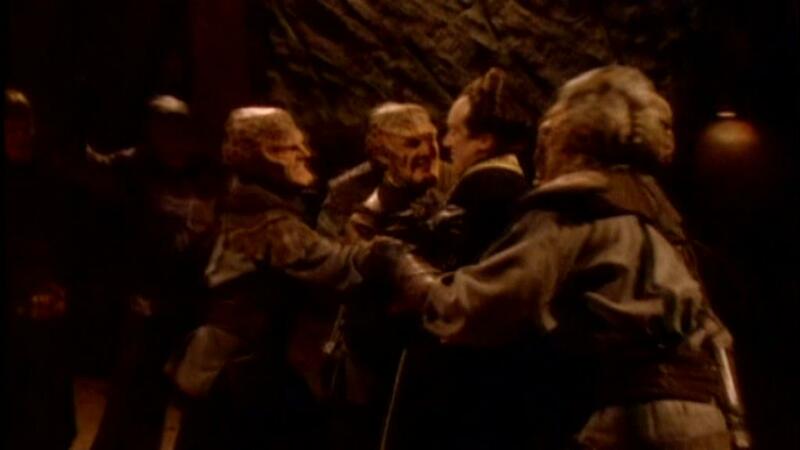 The Keeper forces Londo to strangle G’Kar, too. So the prophecy from the first episode of the first season is fulfilled, but does not mean what one might have expected. G’Kar and Londo do not die as enemies; they die saving Centauri Prime. Vir Cotto becomes the next emperor, and Sheridan’s forces liberate Centauri Prime. 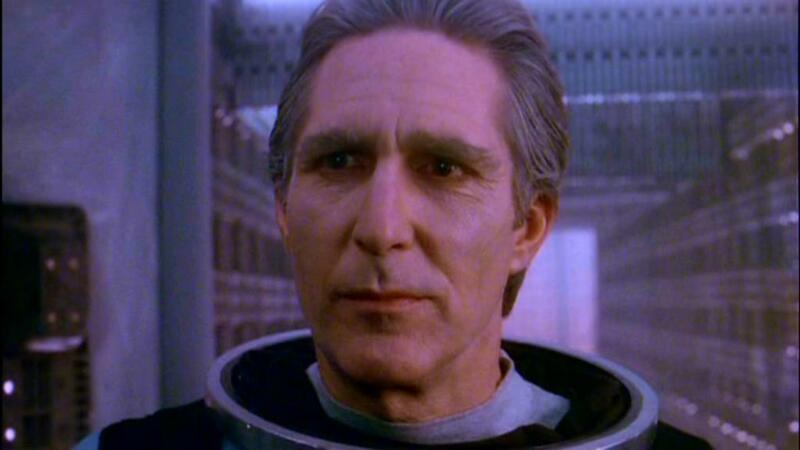 And 2260-Sheridan jumps back in time to 2258, aboard Babylon 4. 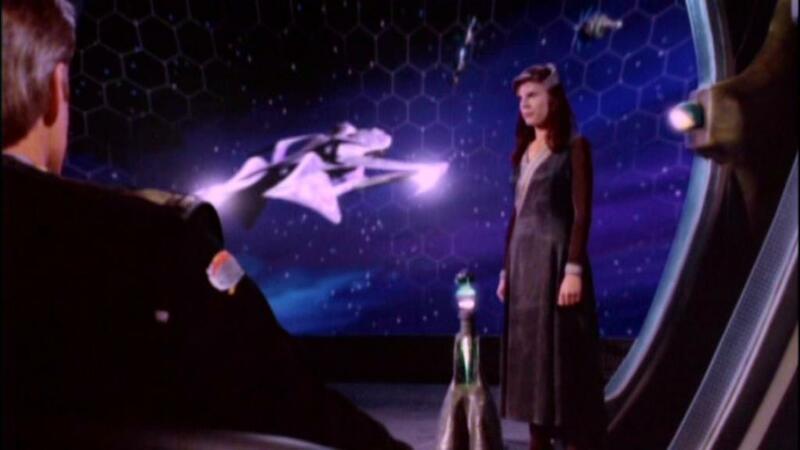 The events of Babylon Squared unfold, and Sheridan, Delenn, Ivanova, and Marcus return to the White Star and travel back to 2260 and Babylon 5. Sinclair and Zathras ride B4 back to 1260, when Minbari warriors board the station and find Zathras and Valen. 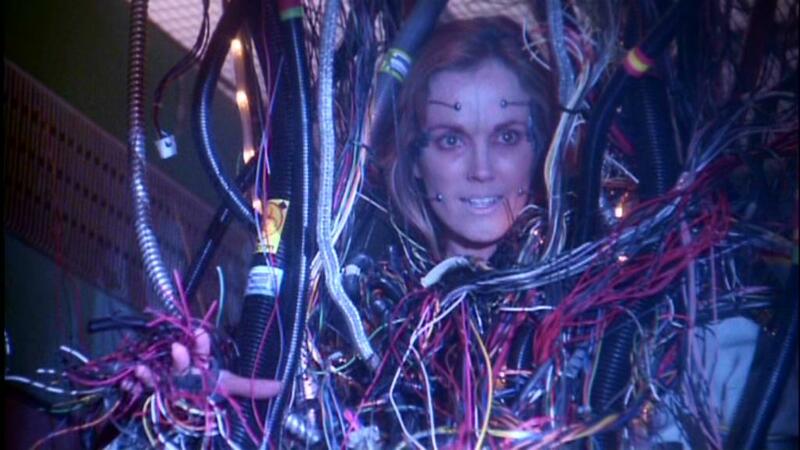 Back in 2258-2259 Delenn had used alien technology to transform herself into a Minbari-Human hybrid–to set right the balance of the transfer of Minbari souls into Human bodies. 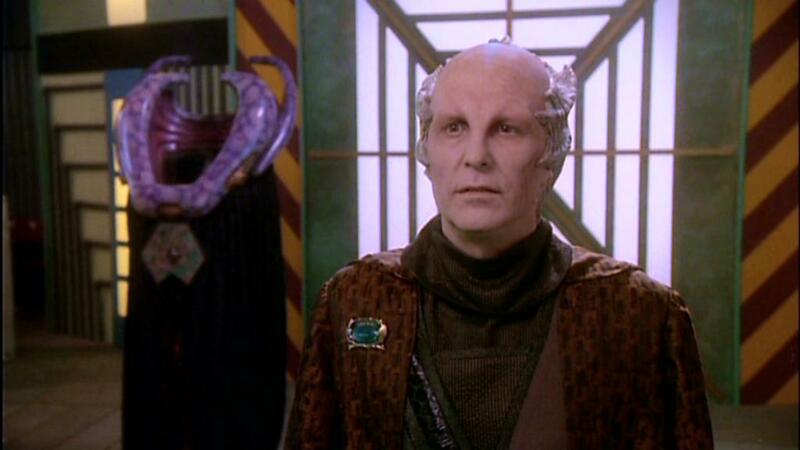 For nearly a 1000 years Minbari souls had found new homes in Human bodies. The event that started this transfer was Jeffrey Sinclair’s use of the same alien technology to make himself a Minbari. Valen was the greatest of the Minbari–a Minbari not born of Minbari. He came out of nowhere, defeated the Shadows, created the Anla-shok, and created the Grey Council. For a thousand years Minbari quoted Valen’s prophecies, actually the memories of Jeffrey David Sinclair. 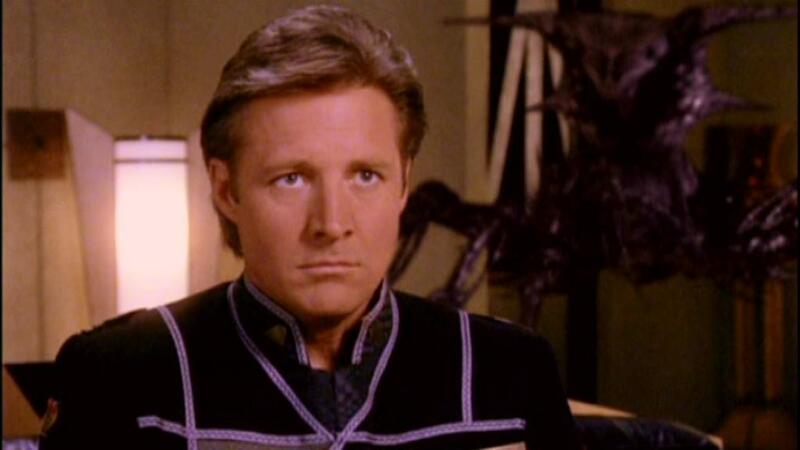 Thus the first commanding officer of Babylon 5 fulfilled his destiny–a millennium before he was born. War Without End is staggering. Watching it is the best way to enjoy and understand it. So I encourage you to do exactly that. We all have problems, but how do we deal with them? Do we make foolish decisions, or wise ones? Do we attempt to handle them by ourselves, even when they are greater than we are, or do we seek help? And do we understand what others say when they speak to us? Keep these questions in mind as you read the rest of this post. Lord Refa is no longer returning Mr. Morden’s calls. (Refa wants to avoid the second half of Londo’s poison.) And Londo is expecting a visit by Adira, his girlfriend from Born to the Purple, from early in the first season. Vir Cotto had been the Centauri Ambassador to Minbar, briefly. Then he got caught helping Narns escape to freedom. This happened a few episodes ago in Sic Transit Vir, which I did not summarize or review. (I preferred to get on with the main series arc.) 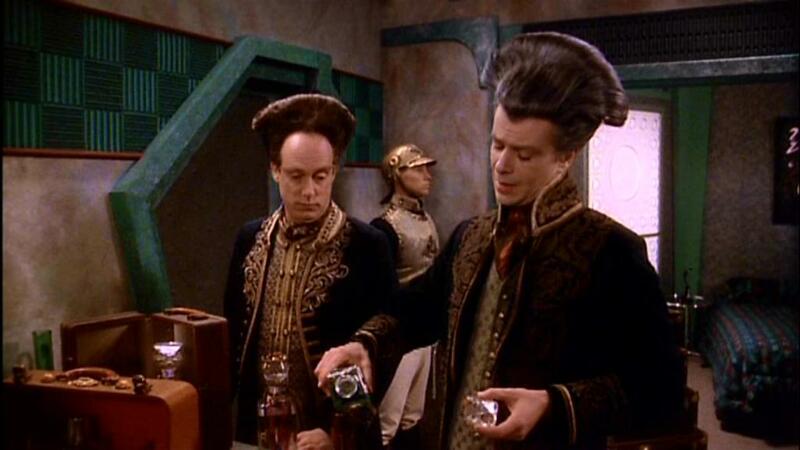 Now Vir is back on Babylon 5 as Londo’s aide, under Mollari’s watchful eye. Morden witnesses Vir making arrangements for Adira’s visit and stumbling over questions about garters and such matters. Then Morden hatches a plot to arrange for Adira’s poisoning and death, which he blames on Lord Refa. Londo, heartbroken, turns to Morden for help in taking revenge. Londo resumes his dance with the Devil. This can lead only to bad results. Dr. Stephen Franklin has struggled with his addiction to stimulants, or “stims,” during the third season. They keep him alert during long work hours, but at what cost? Finally, in Interludes and Examinations, Dr. Franklin hits the proverbial wall. Security Chief Michael Garibaldi, a recovering alcoholic, recognizes all the signs of trouble and tries to help Dr. Franklin, who rebuffs him. Then Dr. Franklin realizes that Garibaldi is correct, yet admits his addiction. Yet the good doctor takes matters into his own hands; he resigns his position aboard Babylon 5. He decides to go on Walkabout, whereby he walks until he finds himself, which he does a few episodes later. I pause that part of the story now, before I get ahead of myself. 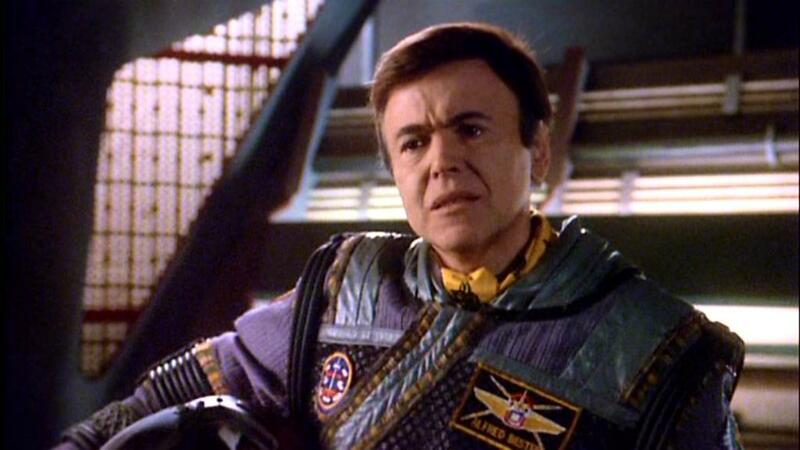 Captain John Sheridan cannot persuade member species of the League of Non-Alligned Worlds to join his cause without a victory against the Shadows. 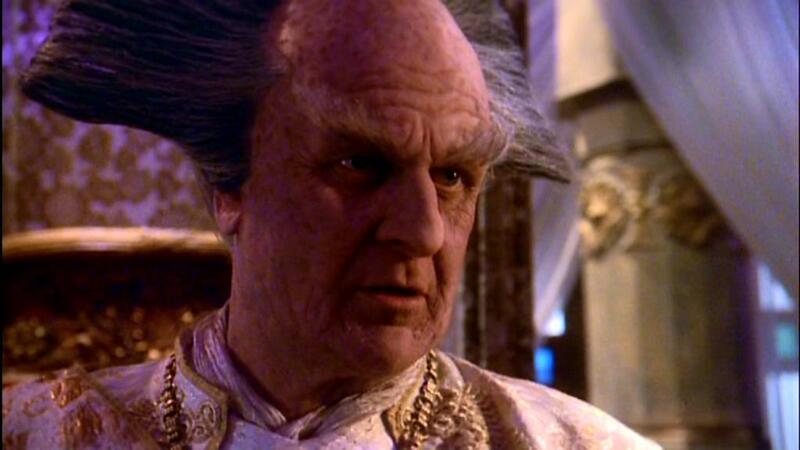 Only the Vorlons can provide that victory, and they have held back until now. 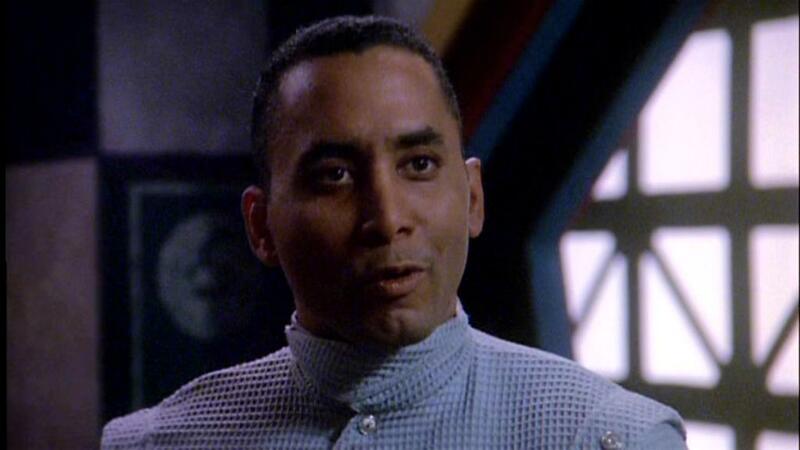 So Sheridan asks Kosh to convince his fellow Vorlons to attack the Vorlons. Kosh agrees ultimately, but with a caveat: He (Kosh) will not be around to help Sheridan any longer. Sheridan mistakes this for a threat, but it is merely a statement of fact. What will the Vorlons do now, that Kosh is dead? Stay tuned and keep reading. One of the themes of Interludes and Examinations is that one should name make big decisions out of anger or fear. Most of us know this when we are calm, but not when we are in the moment. And we reap the harvest we sow. Some things never change. 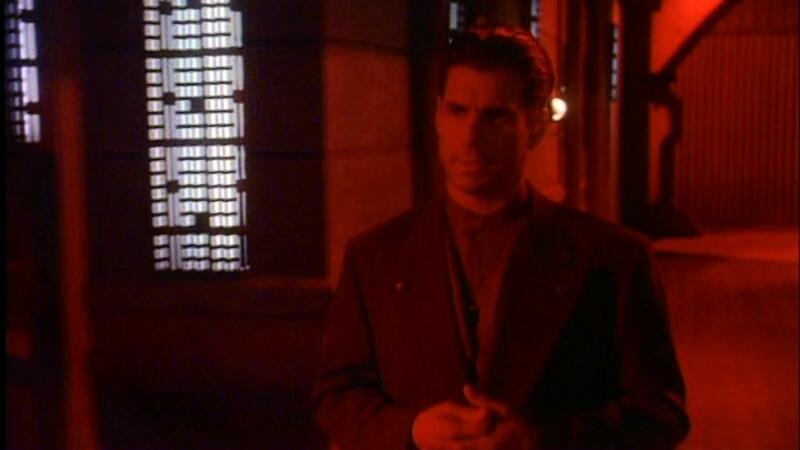 If you thought that Babylon 5 had become dark, wait…it isn’t pitch black yet. Yet, the show improves as it darkens. Much of the best science fiction borrows from ancient and modern history then projects it into the future. In Star Wars, for example, the transformation of the Galactic Republic into the Galactic Empire has parallels to ancient Rome. 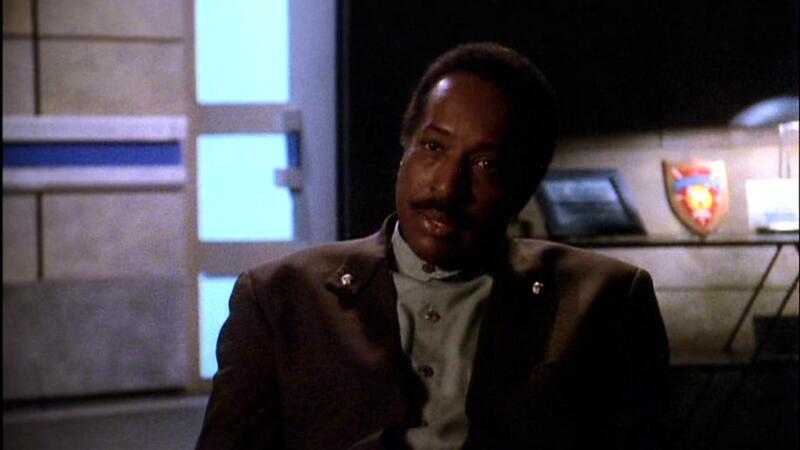 And the Clark Administration in Babylon 5 echoes Stalinism, Nazism, McCarthyism, and George Orwell’s 1984. Series creator J. Michael Straczynski has said so in public, on the Internet, and in DVD commentary tracks. 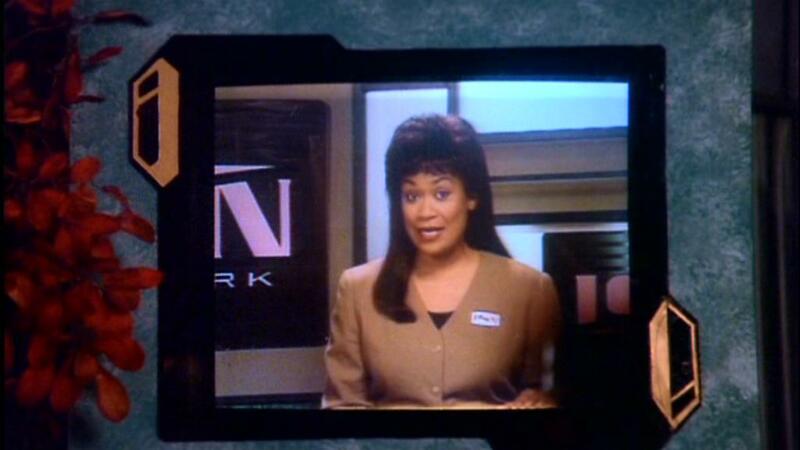 A few episodes ago, in Severed Dreams, President Clark’s forces had stormed the broadcast headquarters of the Interstellar News Network (ISN), which was broadcasting accurate information inconvenient to Clark, who had just declared martial law and dissolved the Senate. As Ship of Tears opens, ISN resumes broadcasting–as a cheerful propaganda tool under Clark’s control. ISN now reflects Clark’s priorities–agreeing with him at all times, promoting xenophobia, and condemning all dissent–while ignoring inconvenient facts. Damn objective reality, just read the script from the Ministry of Truth, which Clark’s administration created. Yes, that is another homage to 1984. G’Kar finally gains admission to the Conspiracy of Light. 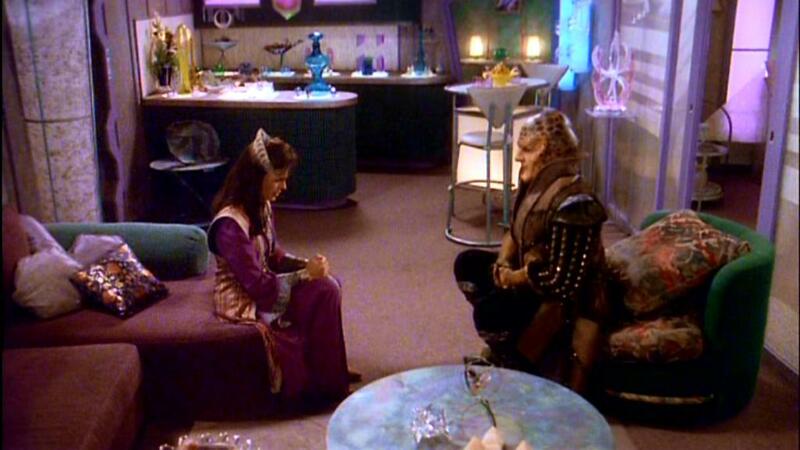 First, however, Delenn tells him the hard truth tearfully. She and others knew of the return of the Shadows long before they admitted it publicly, but remained silent. They felt the need to avoid tipping off the Shadows and their allies prematurely, before the Conspiracy of Light was ready to fight back effectively. This delay cost the Narns dearly. 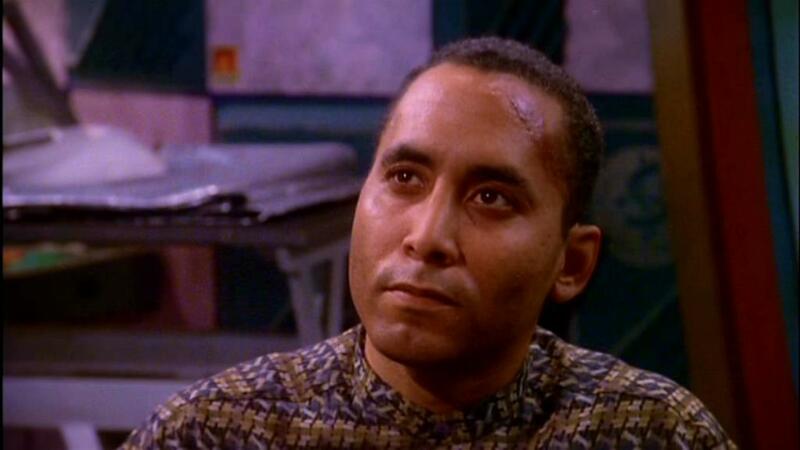 G’Kar, now on the road to Enlightenment, understands–now. Once he would have committed violence after learning such information, but that was then. Alfred Bester, an evil Psi-Cop, is back. He has become concerned about how the Shadows have infiltrated his beloved Psi Corps. Bester has information that Shadow vessels are transporting “weapons systems” through hyperspace, and he needs Sheridan to intercept them. Bester’s information is correct, and the “weapons systems” are rogue telepaths with cranial implants. The Shadows were planning to use these telepaths as CPUs for their ships. Among these telepaths is Carolyn, Alfred Bester’s lover. Marriage within the Psi Corps is based on genetic compatibility, not love. So Bester is trapped in a loveless marriage. But he loves Carolyn, a rogue telepath. As it turns out, blood, not ice water, runs through Bester’s veins and arteries. Carolyn and her fellow unfortunate telepaths have implants which human technology cannot bypass or remove and which compels them to become one with machines. Simply put, these Shadows are soulless bastards. Ship of Tears reveals the Achilles Heel of the seemingly invincible Shadow vessels: Telepaths can jam them. Bester’s presence on the White Star creates a situation which hints at this fact. 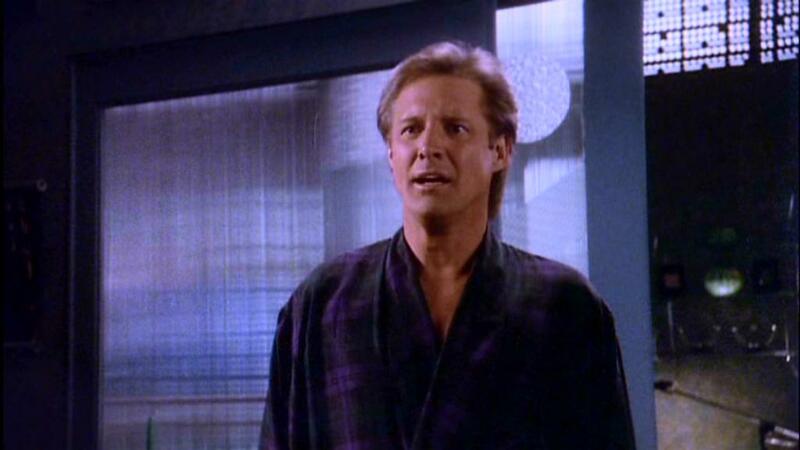 And Security Chief Michael Garibaldi discovers confirmation in the ancient Narn text, the Book of G’Quan. Our heroes have another weapon now. Hint: Remember these rogue telepaths. 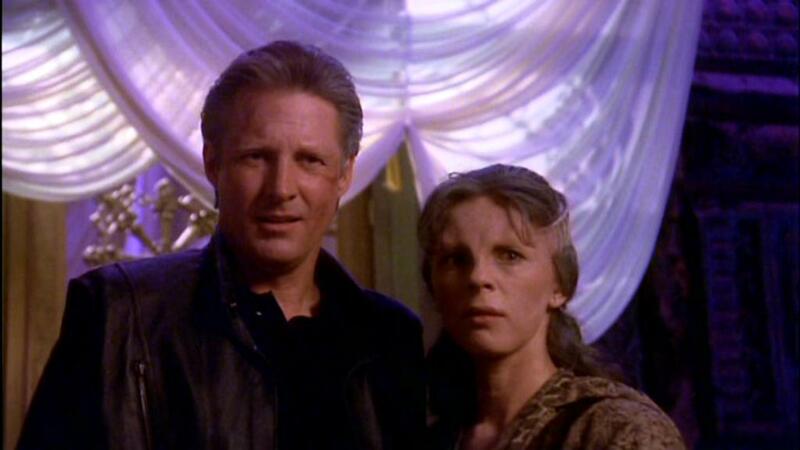 They play a crucial part in the story arc of Babylon 5. This episode reveals a fun fact: To thump a Narn sacred text is to demonstrate disrespect for that text. Living as a self-identified heretic in the Southern U.S. Bible Belt, I enjoy that detail greatly. O, and watch the episodes, of course.